Night Watch was the first of the Discworld books I read. It was given to me as a gift from my friend Michelle, because she's awesome and thought I would enjoy it. This book is HI-LARIOUS. Laugh out loud in public funny, laugh until you cry funny. No one does a turn of phrase or develops odd characters better than Terry Pratchett, and this book is proof positive of that fact. 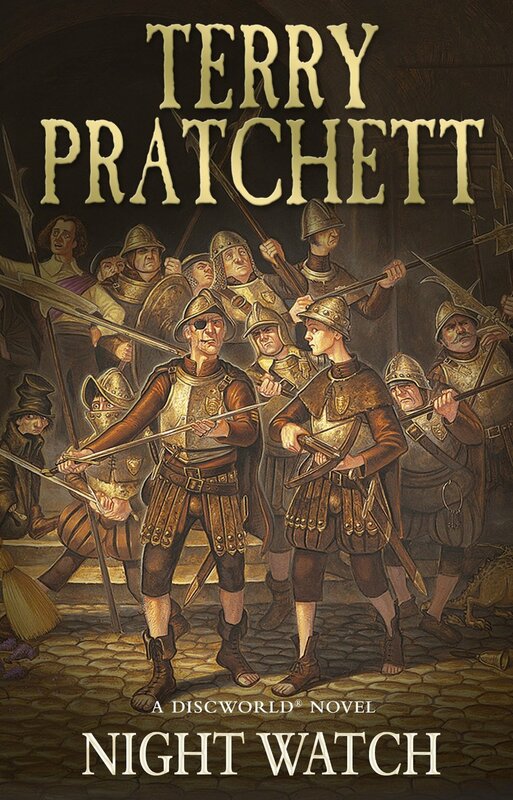 I've read many of the Discworld books since I first received this book, and while I've enjoyed them all to a greater or lesser extent, none of them tickled my funny-bone more than Nightwatch. Just because I can, here is my favorite Discworld bit--besides OOK. 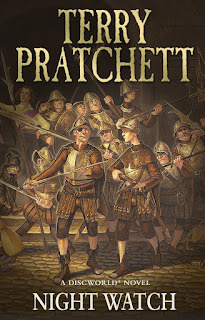 Night Watch is my very favorite of all the Discworld books, and I've read them all. It's the darkest of the series, and in many ways the most humane. I've used the boots theory in my history classes because it gets across a complex notion in such an elegantly simple way.